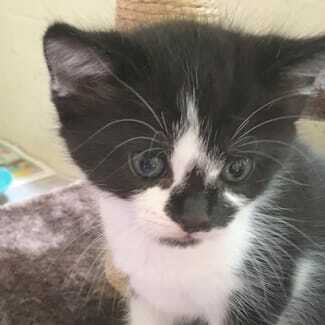 WildCats Rescue & Rehoming is a non-profit animal welfare group which rescues and rehomes lost, abandoned and injured cats and kittens on the street. Our primary goal is to rescue and rehome lost, abandoned and injured cats and kittens on the street. 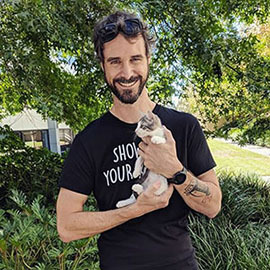 There are thousands of abandoned and dumped cats living on the streets throughout Australia who struggle to survive in a harsh environment with many dangers. Adult cats dumped in industrial estates will not last more than two years. In a litter of 5 kittens born on the street, only 1 or 2 make it to adulthood. These unfortunate cats very rarely make it into shelters. We go out every night to rescue them, get them desexed, chipped & vaccinated then find them loving furrier homes. Call or email WildCats, view available cats on our website. Come and meet the cats and if all goes well, adopt one. All cats have their vet work done and are housetrained. 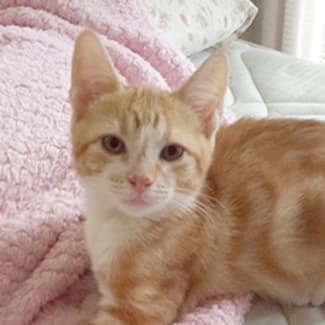 PEBBLE is an 11 week old ginger male kitten with gorgeous markings who was rescued from an industrial estate with his other siblings. He's a placid, friendly little guy who loves to snuggle - a real smoocher! Will get on your lap or lie next to you in bed. Gets on well with other cats and dogs. Pebble has been vet checked and is desexed, chipped, vaccinated & housetrained. If you can offer this boy a loving home pls call WildCats. Located on Gold Coast but fly Aust-wide. 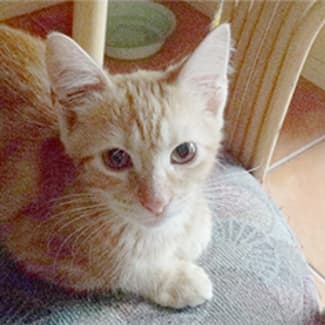 GROMET is an 11 week old ginger & white kitten who was rescued from an industrial estate where his pregnant mother was dumped. He's got a quirky & cute nature, is friendly and playful, gets on great with other cats & dogs. Gromet has been vet checked and is desexed, chipped, vaccinated & housetrained. Looking for his furever home. Currently located on Gold Coast but we fly Aust-wide. 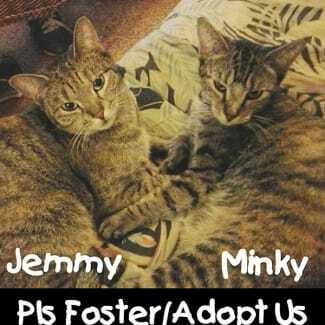 Minky and Jemmy are two young tabby girls who do everything together. Minky is the brave, friendly one and Jemmy is the shy one, but once you make friends, they're both big smoochers who love a pat! Rescued by WildCats Animal Welfare (www.wildcatsqld.com), we would love to see them adopted together. Both cats are housetrained, can use a cat door, and just love to snooze in the garden. This purrfect pair will bring so much love to their new family! 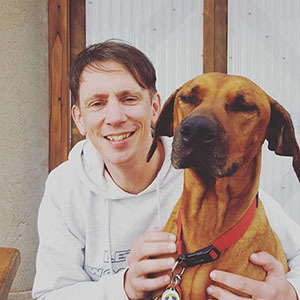 Ziggy ' little Buddha', is a chilled, gentle soul. 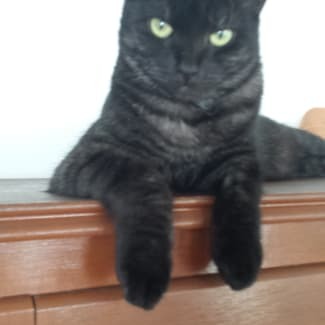 She likes to play, prefers high spaces to nap and chats when she has something to say. Ziggy is part if a bonded pairing with her sister Heidi. They need settling in time at their home, as ex street cats they are wary of strangers at first. They are ready for their family to find them and would do best in a quiet household.